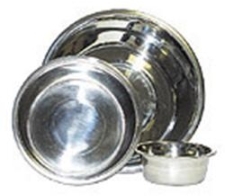 Long lasting stainless steel bowls features a sparkling easy to clean finish. Rust, chew, scratch, and odor resistant. These long lasting stainless steel servin pieces feature a sparkling easy to clean finish. They are also rust, chew, scratch, and odor resistant.